There’s a great program where veterans attending college can gain college credit for starting a business. 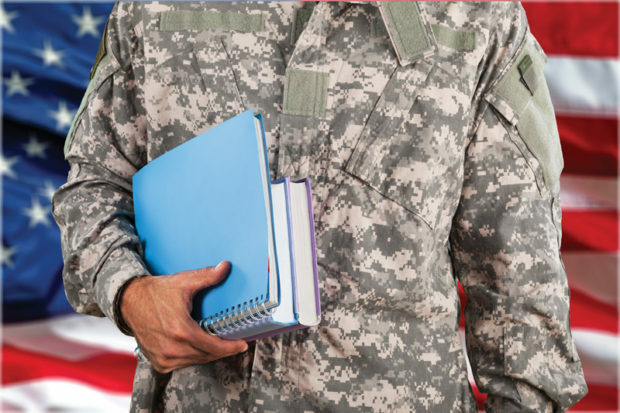 Veterans enrolled in college or university can enroll in a program that will award up to 12 units of college credit. The Veterans Chamber of Commerce, in partnership with participating colleges and universities, can work with veterans to set up this amazing program. For a long time, students interested in starting a business were referred to a similar business to learn about the industry. Veterans were able to learn about working in the business, but not how to start and manage that type of business. This new and innovative program allows for student veterans to learn the steps and challenges of starting a business (i.e., how to identify vendors and sites, hire people, set up the right entity and more). Veterans attending college and enrolled in a business program are usually interested in starting a business. Whether that business is freelance (gig), a coffee shop, a construction company, or a web-related service, such as graphic design, SEO services, website creation, the options are endless. Starting a business doesn’t have to be a huge investment, let’s keep in mind that the lower the investment the greater the profit! Entrepreneurs love to start new ventures and create new concepts that positively impact our everyday lives. These entrepreneurs are the ones that create new products and services. These new ventures need a “test drive”, a proof of concept. It is through the colleges and universities that students learn the step-by-step process and are able to acquire the knowledge needed to understand how the world of business works. Student Veterans also learn that in order for their business theory to be fully understood, the new business needs to be tested and evaluated for sustainability. To help students accomplish this, the “Faculty Mentorship / Business Coaching” program provides guidance and all the support a student Veteran needs, while at the same time enabling them to earn college credit. This is a great partnership between the Veterans Chamber of Commerce and local institutions of higher learning. This program was initially created by Joe Molina, a faculty member and business advisor, who identified the gap between classroom knowledge and real-life application. Mr. Molina built a connector or as he calls it, “The Bridge”, which allows the student Veteran to safely and intentionally implement their new business idea. Mr. Molina stated that, “For students to gain true knowledge about starting a business, they need to actually start a business. Students need the opportunity to use classroom knowledge and implement it in real-life situations. With the guidance of a business coach, we can help student business ventures succeed. The program assigns a business coach (or a faculty mentor with business coaching training) that works with the student Veteran for a full semester.” These business coaches/faculty mentors work with the students at every step of the startup process. “The beauty of this program is that students who start a business and implement the concepts learned in class are also awarded college credit,” said Mr. Molina. Overview: Each student Veteran receives direct assistance and support from a certified faculty mentor/business coach. The faculty mentors/business coaches are certified directly through the Veterans Chamber of Commerce. The Process: Community colleges and universities value entrepreneurship and business ownership as they are aware of the impact of small businesses in their communities. According to the SBA, over 95% of all businesses in our communities are small businesses. The State of California has funded a program that facilitates “extra income earners”, or a gig economy, by funding the existence of incubators and accelerators across the state. This proves that entrepreneurship is being recognized as a new (or additional) way of supplementing a family’s income. The Partnership: This program is a perfect example of collaboration between the Veteran Centers located in community colleges and universities and the Veterans Chamber of Commerce to benefit our Veterans.